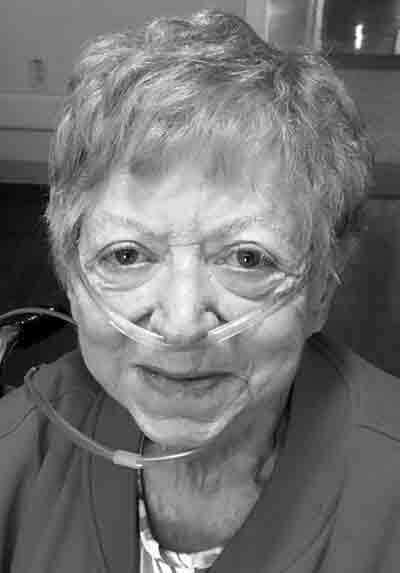 Dorothy Heiss, 73, of Marietta, died Monday, September 3, 2018 at Marietta Memorial Hospital. She was born November 9, 1944 in Lambertsville, New Jersey to Peter and Gertrude Fornicola. Dorothy volunteered at Marietta Memorial Hospital for many years. She liked to dance. Dorothy will be deeply missed by her sons Jay Edward (Delphia) Heiss and James Eric (Brenda) Heiss; grandchildren Eric, Shelby, Justin and Amber (Jeremy); great grandson Brennan; sister Betty Slack whom she lived with. She was preceded in death by her parents, her husband John “Jack” Heiss; brother Peter; sisters Gloria and Peggy. The family would like to remember mom’s friend Joann Clapsaddle for being there in her time of need. Friends may call Friday, September 7th from 1 to 3 p.m. at Roberts Funeral Home-East Lawn Chapel, 27880 St. Rt. 7, Marietta. Funeral services will be at 3 p.m. at the funeral home. Online tributes may be made at www.RobertsFuneralHome.com. In lieu of flowers, emorial contributions may be made to the Marietta Memorial Volunteer Program, 401 Matthew Street, Marietta 45750.